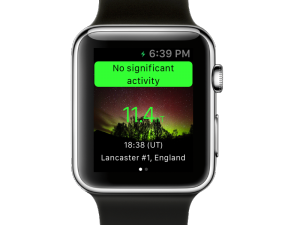 The AuroraWatch UK team at Lancaster University provide a great service, and we hope the new Apple Watch App will be a great addition. 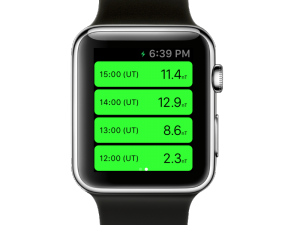 The Apple AuroraWatch UK App has a new Apple Watch app, putting the information you need right there on your wrist! Download AuroraWatch UK and get AuroraWatch UK on your wrist with Apple Watch today. Please click here to LEAVE A NICE REVIEW! Reviews really help other users find apps!